Click on the “API KEYS” in the “Orders” menu on the exchange. Click on the “Enable API” button. An e-mail with the request to confirm that API access is enabled has now been sent to you. Please note that the link in the email is valid only for 15 minutes (for security reasons). Follow the link to confirm the request. 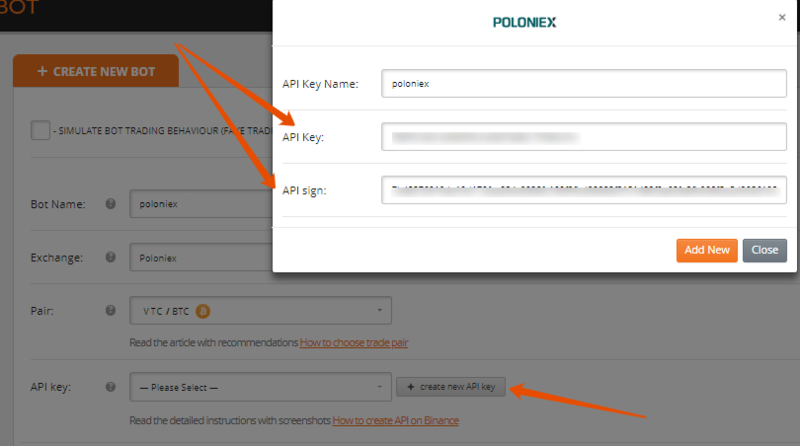 You will be redirected to the webpage: https://poloniex.com/confirmApi, where you can add an API key. Click “Create New Key” button. Confirm the key creation by clicking on the link in the email. Congratulations, your key has been successfully created! Save the “API Key” and the “Secret” token – you will need them for the bot to function correctly. 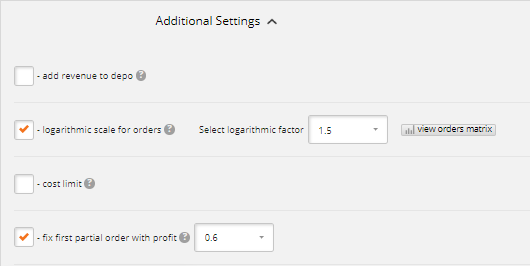 Select “Enable Trading” in the “Options” tab. Click “Create New Bot” in the “Bots” menu. Fill in the required fields: the bot name (for example, “short-poloniex”), choose the Poloniex exchange. Select VTC/BTC cryptocurrency pair (this choice was made due to the mining of the VTC coin). 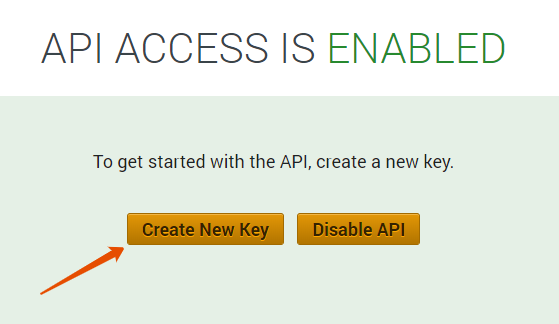 Add an API key (you need to enter the API key and its secret token into the appropriate fields). Determine the sum of money that the bot will use when placing the orders grid (create a bot wallet). In our example, the deposit is made in VTC, since the Short algorithm strategy means that the bot first sells the coin. Profit can be received in BTC and VTC (which is beneficial if you want to build up Altcoin for the future). The recommended deposit is no less than 300 VTC (which is about $150). This amount is required for placing an average grid of 15 orders. 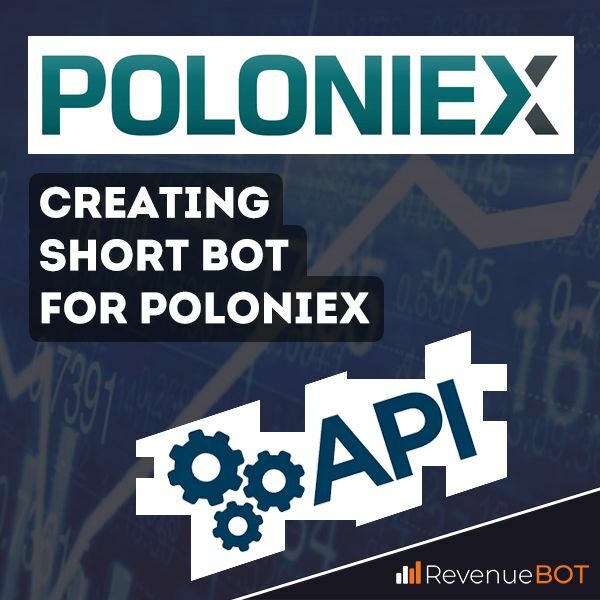 Click “Create Bot” and launch the robot for automated trading on Poloniex.